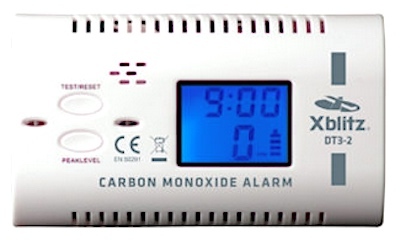 The type of hazards presented in these recalled Carbon Monoxide (“CO”) Detector/Alarms include possible operational failure and consequential insensitivity to dangerous levels of Carbon Monoxide. If this defect occurs, the Detector/Alarm could fail in the presence of CO gas, causing people nearby to become poisoned or asphyxiated if a CO leak occurs. Carbon Monoxide poisoning may cause life-changing injuries, neurological impairment and death if sufficient concentrations of the gas are inhaled, even over a comparatively short period of time. Due to these defects and their associated risks, these Xblitz branded Carbon Monoxide Detector/Alarms do not comply with the requirements of the relevant European standard EN 50291. Consequently, they have been ordered and withdrawn from the European marketplace. ==> ==> To see other recalls and notifications caused by faulty and/or dangerous Carbon Monoxide Detector/Alarms, please search for “Carbon Monoxide” using the Search Box at the top of this page. To see other recalls and notifications relating to products made, marketed and/or sold under the Xblitz brand, please search for “Xblitz” using the Search Box at the top of this page. To see other recalls and notifications relating to Asphyxiation, please search for “asphyxiation” using the Search Box at the top of this page. To see other recalls and notifications relating to Poisoning, please search for “poison” using the Search Box at the top of this page.